Although I’ve been a crafter, baker, and kitchen gadget hoarder since I was little, it wasn’t until college when I realized I could combine my love for design with my love for food and crafting. My career has taken me down some crazy roads from designing magazines for Better Homes & Gardens Food Publications, inventing & designing paper crafting tools & products (like this!) for WeR Memory Keepers, and Art Directing the Sweet Sugarbelle & Sweet Tooth Fairy food crafting product lines for big box craft stores like Michaels, Hobby Lobby, and Joanns. 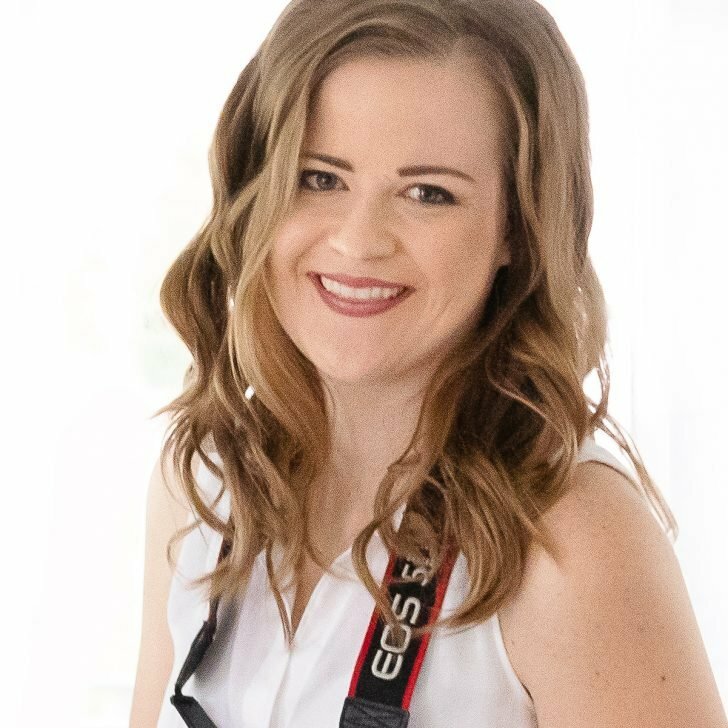 I currently work full-time designing blogs for professional Food & DIY bloggers over at my design studio, Melissa Rose Design. 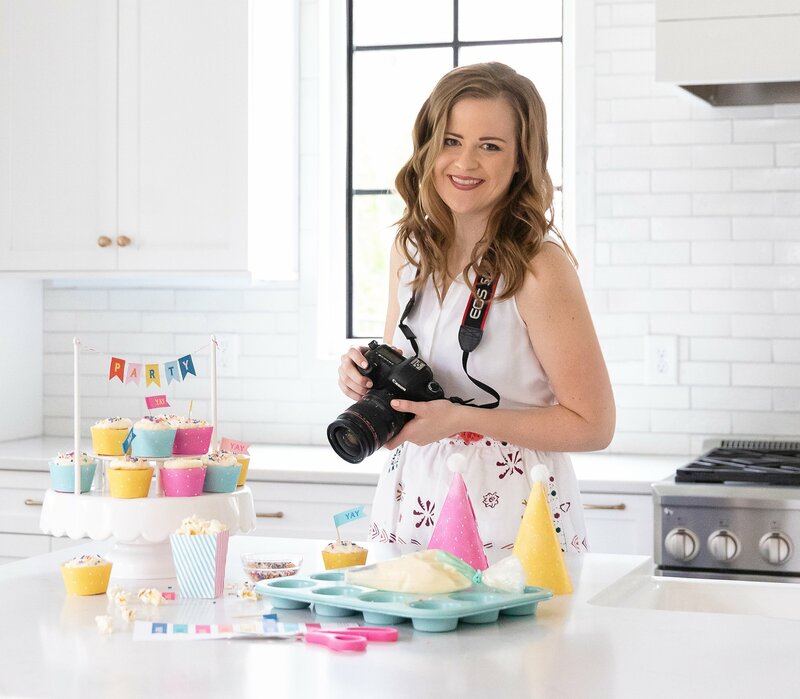 Design Eat Repeat is an online brand focusing on easy treat ideas, food crafts, and party printables. I believe that you don't need to spend a ton of money or have fancy decorating/crafting skills to create memories in the kitchen. I strive to come up with unique, innovative, and approachable ideas that inspire creativity in homes and make you think "I can make that!" no matter your skill level. Whether it's making class treats, teacher gifts, or party favors - my goal is to encourage creativity and help make your busy life a little more colorful and sweet. I went to college for Graphic Design and graduated with a Bachelor of Fine arts degree from Iowa State University. While I was in school, I had the opportunity to intern for Better Homes & Gardens food magazines and it was there that I discovered that I could combine my love of food/baking for my love of design. Since then, I've had several food related design jobs designing scrapbooking paper and food crafting products that landed in large crafts stores like Michaels, Joann, and Paper Source. But I now run my branding & blog design studio full-time, along with some freelance styling for brands and magazines. I currently shoot with a Canon EOS 5D Mark3 and macro lens. Prior to around 2016, I shot everything on this site in natural light but I now mainly shoot with flash. What Cardstock Do You Use For Your Printables? I recommend using at least a 60lb. cardstock, especially when making 3-d boxes. I use Neenah brand as it cooperates the best with my laserjet printer (some other brands don't accept the ink as well). I currently use a HP LaserJet for my projects. With the amount of printables I create, I have found it to be more economical than inkjet. Do you have SVG files for your printables? I do for a lot of the projects and am slowly working to add more from the past! Soon, all the printables on this site will have accompanying SVG files for purchase through Silhouette or my Etsy shop. To see if a current post has a SVG file for purchase, check out the "materials" box inside the post. Do You Accept Custom Party Printable Orders? Unfortunately, I do not. If I had 8 arms and 10 extra days each week, I'd love to do this! That said, I have a lot of printables on this site that may fit into your theme. If you can't find something, shoot me an email and I can typically send you a few project links that might work! Can you teach me how to design printables? I don't have any offerings now, but sign up for my course wait-list and I'll email you when my course is ready! Can you design my logo/website/blog? That I can do! My design studio specializes in branding & web design for professional food & DIY bloggers. Shoot me an email through that site & let's chat!